Dr. Laura Pace received her B.A. from Texas A & M University, and her master's and doctoral degrees in Counseling and Counselor Education from the University of North Texas. She has taught various counseling classes at UNT as an adjunct professor since 2013 and worked as a lead counselor for Chrysalis Eating Disorder Treatment, an eating disorder intensive outpatient program, from 2012 to 2016. She has been in private practice at Connections since 2014. Most importantly, Laura is a proud wife and joyful mom to four beautiful children! I believe that people are unique and creative individuals capable of making important connections and changes that influence the course of their lives. All people, of all ages, have within themselves the capacity for growth, change, and joy. 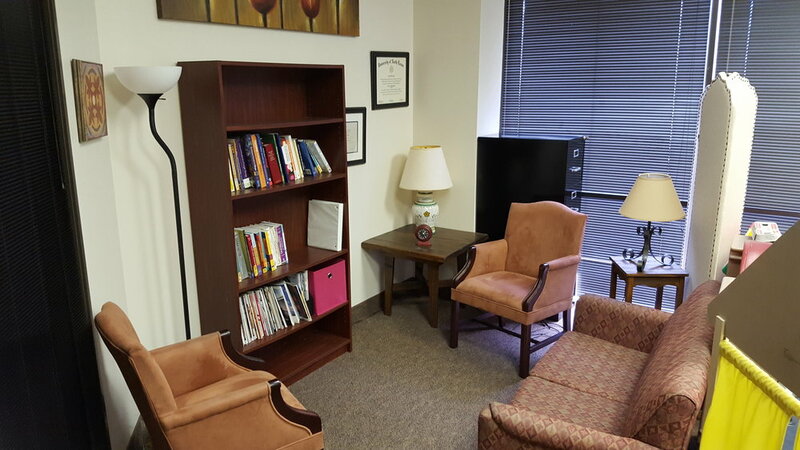 Counseling is a collaborative experience and opportunity for you to work on specific issues such trauma or abuse recovery, relationship difficulties, anger reduction, eating problems, or general self-growth/self-esteem. Helping people through the counseling relationship is a personal value of mine and deeply tied to who I am as an individual. I truly love what I do and feel so blessed to walk with people as they work toward becoming the best, healthiest versions of themselves. On play therapy: As a parent of four kids, I understand and am passionate about the growth and development of children. Just like adults and teens, I believe, if given the opportunity, environment, and relationship, children can address their concerns, process their feelings, thoughts, and experiences, and thrive. On eating disorder recovery: Eating disorders can seem as though they have taken over your life, and recovery may seem impossible. I believe that each person struggling with disordered eating, no matter what kind of behavior (restricting, binging & purging, overeating, or a combination of many behaviors), is capable of the hard work required for recovery. I work along side my clients to make connections about their eating disorder in their past and present lives. Through various treatment options, I want to taylor each client's experience in a way that will be most effective and meaningful to him or her.